These are great favor bags for a variety of uses. Some customers prefer each guest to have a separate meanings card. 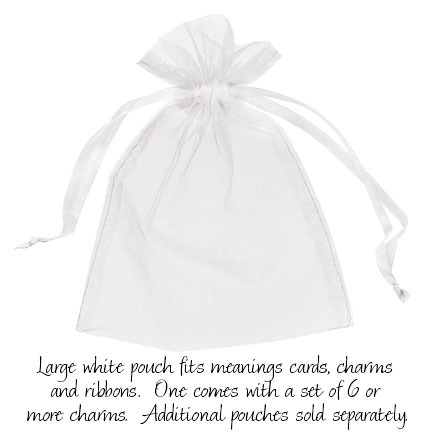 The large white pouch with the meanings card inside makes a great presentation and momento the guest can take home. These also look great at each place setting at a luncheon. Measures 5x7.